Rantak Machinery Sales recently celebrated 34 yrs in the laundry industry on 15/09/18. No sooner does one Summer Season finish that the preparation for the next begins in earnest and here we are preparing for Summer 2019. We are finding more and more Holiday Parks are starting earlier with their preparation because the worst time for their laundry equipment to break down is once the season starts, or you find that the number of machines you have in your laundry is totally inadequate for the demand. 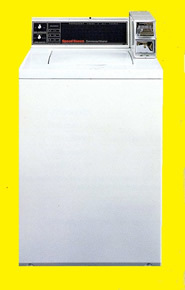 To keep your laundry on track, we have again set out a sample of the makes, models, prices, and specifications of machines we could supply in reconditioned to suit your needs. What you see are our most popular machines but, if you require something else, please ring us - We're sure we can help! There is 100% parts availability on all machines we sell as reconditioned. All machines are overhauled to exacting standards and are offered for sale at a fraction of the cost of new. Each reconditioned machine is sold with a six months parts-only warranty which usually starts from the date of delivery to site. 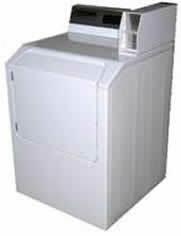 All machines can be supplied in either coin-op or token-op form, at the prices advertised. The only extra cost is for the tokens themselves, which are 75p + VAT each. 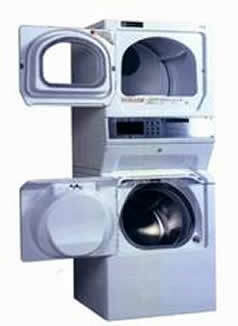 All gas dryers can be supplied in either natural or propane gas. We also offer a free technical advice and information service over the telephone, whether you have bought machines from us or not. 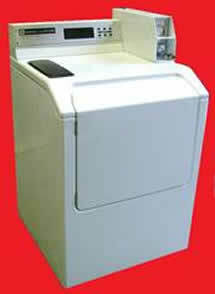 Please be aware the machines on offer are commercial machines & NOT upgraded domestics. The machines shown above only represent a much wider range of coin-op and manual-op equipment available to suit all situations.